If we are to set out on a journey, it’s a good idea to have a map of where we want to go. If it is a new journey, there are places on the map we have not yet discovered. These places are completely unknown to us. Friends may have described some of these places, but all we really know is that they sound interesting and seem worth directly experiencing. Other places on the map we know pretty well. We’ve spent some time there. And still other places we have only briefly glimpsed through the car window as we passed by. This map of consciousness is like this. Some places you are very familiar with. It is where you live or where you have lived before you moved on to this new place. Some places you have just had short glimpses of. And other places you have not yet experienced at all. On our spiritual journey it is important to know where we are and where we used to be. 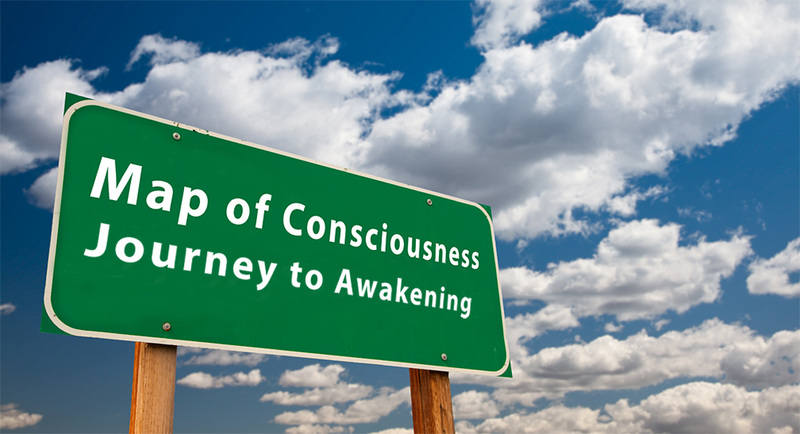 Where we used to be is the state of consciousness we transcended to get to the state of consciousness we live in now. Where we are is the state of consciousness we live in now. There are also states of consciousness we have had brief glimpses of in meditation, on retreats, while reading a spiritual book or just in daily life. These are brief glimpses of a higher state of consciousness but they have not yet become the state of consciousness we live in. And then there are still higher states of consciousness we have not yet experienced at all. This map is useful to show us where we are, where we have been and where we are going. States of consciousness are more dynamic than physical places on a map. Even in the very beginning of our journey, we may have powerful glimpses of very advanced stages. 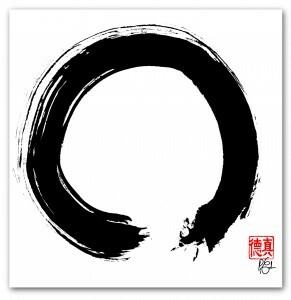 In Zen, we often call these brief experiences Kensho or Satori. Because these glimpses of our True Nature have not yet been integrated, they are usually very short and not yet our day-to-day experience. This makes a map like this, along with the advice and practices for each stage, particularly useful. It should be obvious that we can only describe where we are and where we have been. Where we have yet to be we cannot describe, just as on a physical map. We can describe the brief glimpses we had through the car windows in passing, but these will be limited and superficial. We’re actually pretty good at describing and understanding where we used to be from the higher vantage point of where we are now. We’re actually not that good at describing and understanding where we are now when it comes to consciousness. And we’re much less capable of understanding those brief glimpses. Limited as it is, this makes a map like this quite useful. Don’t think of these as hierarchies or any form of judgments. Higher and lower are just words. To the awakened mind, they have no meaning. I use the words higher or lower because it makes it easier to understand. At some point in consciousness, the meaning of language falls away. Certainly in Oneness, all hierarchies must dissolve. And here’s something very important to realize. You are already at the highest state of consciousness. In fact, you are this highest state of consciousness. This is what you truly are, your True Self, although you may not be aware of it yet. And that’s what the map is for, to show you what you already are but simply are not consciously aware of yet. The truth is you are already at the final destination. The map is just one of several tools to help you realize this. Even this map cannot show you what the final destination actually is if there even is one. Like all journeys, the spiritual journey is an ongoing process that has no end. You can view this map in two ways. You can see it from Stage One, The Dream, to Stage Seven, Living Awake, as the progression you are taking to realize what you truly are. Or you can view it from Stage Seven to Stage One to begin with what you truly are and see the various stages that obscure this but are always included in it. Look for where you currently are on this map and where you have already been. It will be easy to see where you are because where you have been will be very clear. Where you are may be a little less clear. We always see the previous stage in our evolution with more clarity than the stage we are on. Also notice the stages you have had brief glimpses of from time to time but do not live at yet. Everything comes from pure consciousness, so it is natural to have glimpses of higher stages of consciousness even though that is not your normal day-to-day experience. These brief glimpses show you where you are heading. At each higher level of consciousness you will experience greater freedom, spaciousness, inner silence and stillness, peace, love leading to unconditional love and happiness leading eventually to bliss. Each higher level of consciousness comes from surrendering the limitations and restrictions of the current level of consciousness. The path of awakening is a continuous letting go. 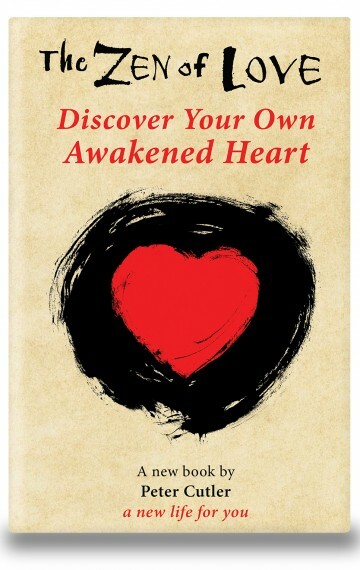 Beginning in Stage One, Consciousness as Ego / The Dream, specific meditation practices help us move to the next stage. By Stage Four, Consciousness as Love / Something More, meditation becomes a natural part of living rather than something we do. It becomes more of our natural state.